I have a slight confession to make. I'm a hairy woman. As a child, I could never understand how my mother had smooth, hairless arms and here I am looking like a bear. Over the years, I have come to terms with it (although I would get laser hair removal if it was in my budget) and I keep a razor readily available in my arsenal. The only issue is that due to the coarseness of my unsightly hairs, I can sometimes be left with irritation after shaving. Not cute. When Influenster sent out a survey about shaving and sensitive skin, I gladly took the survey. A few weeks later, I was sent the Venus Gillette Embrace Sensitive Razor to try. The perfect match for sensitive skin, experience a closer shave and less irritation* with 5 curve-hugging blades and 8 times more glide boosters. 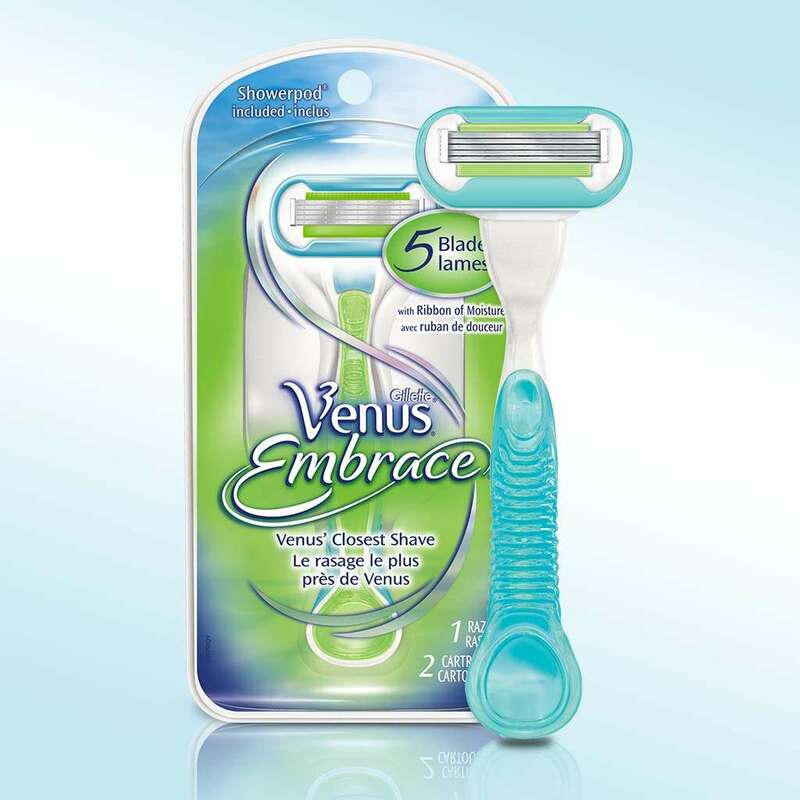 Discover why Venus is the #1 razor brand used by dermatologists. I will be honest. When it comes to razors, I can be a bit of a cheapskate. I will get just about any razor with multiple blades as long as it's within my budget and will produce smooth legs and underarms. The downfall to this is sometimes my skin would be left irritated. It never really dawned on me to try a new type of razor. 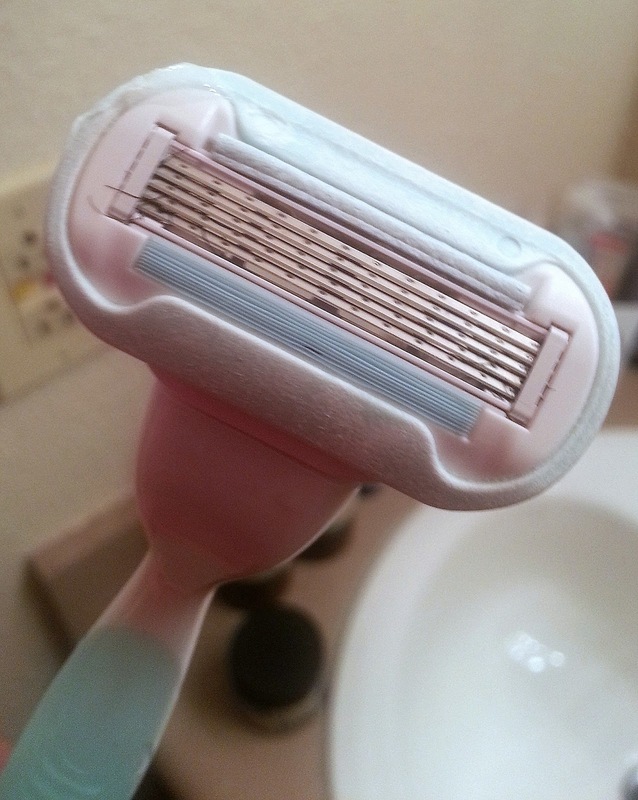 When I received this from Influenster, I thought it would be no different than most other razors I have tried. WRONG! When I opened the package, I was immediately impressed that there were two razor refills inside. Then when I tried it, the razor glided on my skin (with shaving cream) super smooth. It was so smooth that it did not feel like I was shaving it all. It didn't even feel like I had a blade on my skin. The craziest part to me was that as I looked down at my legs, my coarse hairs were gone. I was blown away! YES! Hands down. YES! I highly advise you no matter what skin type you have to get this! I will gladly hunt down coupons for the razor refills to keep using this. Are you a Gillette Venus fan? Would you give this razor a try? great post! I have always loved Venus razors. I think they sent me a sample as a teen and I've been a believer ever since. Well played gillette. ;) Thanks for sharing (I came via BLM group). Thanks Tiffany! I've been a cheapskate so long that I never gave Venus a chance. LOL! Now I'm a believer. :-) I appreciate you stopping by. LOVE LOVE LOVE Venus razors and I HATE HATE HATE the price but I was tired of nicking myself with the cheap razors...so when I can't go to the Beauty College here and endure waxing....Venus is my homegirl. I always kid with my husband that if I didn't shave or wax, I'd be a bear. LOL! So I can totally relate. I've tried similar razors, most of them cheapie ones, too, but this one looks worthwhile (or worth the $). Thanks for sharing the REAL!